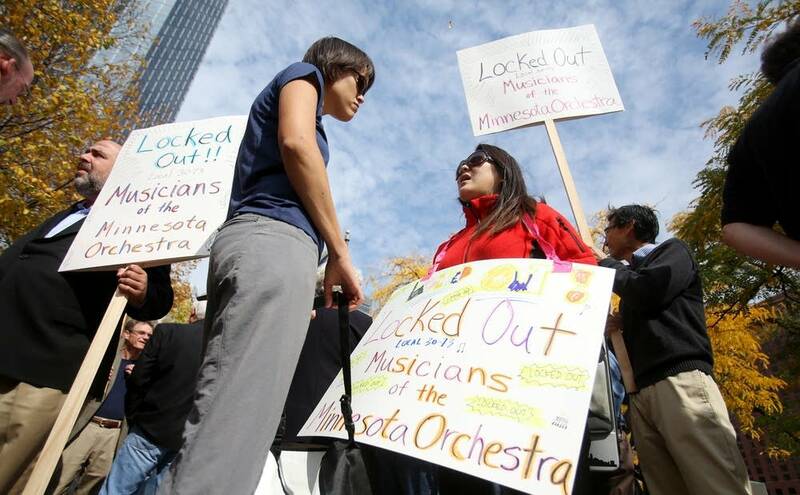 What has to change for Minnesota's major orchestras to break an impasse? The Minnesota Orchestral Association holds its annual meeting today. Instead of the usual jovial lunch for major donors peppered with performances from Minnesota orchestra musicians, today's meeting will be held behind closed doors. The mood will likely be somber as the board members reveal an expected multi-million dollar deficit from the 2011-2012 season. Both of Minnesota's major orchestras are struggling financially. Musicians were all asked to take extensive pay cuts, which they did not agree to. Now musicians at both orchestras have been locked out for several weeks and all concerts are cancelled through the end of the year. On top of that, no negotiations are scheduled for either organization. Joining MPR's Cathy Wurzer to discuss this is Chicago-based arts consultant Drew McManus who specializes in working with orchestras. Mr. McManus has not served as a consultant with either the management or the musicians of the St. Paul Chamber Orchestra or the Minnesota Orchestra.